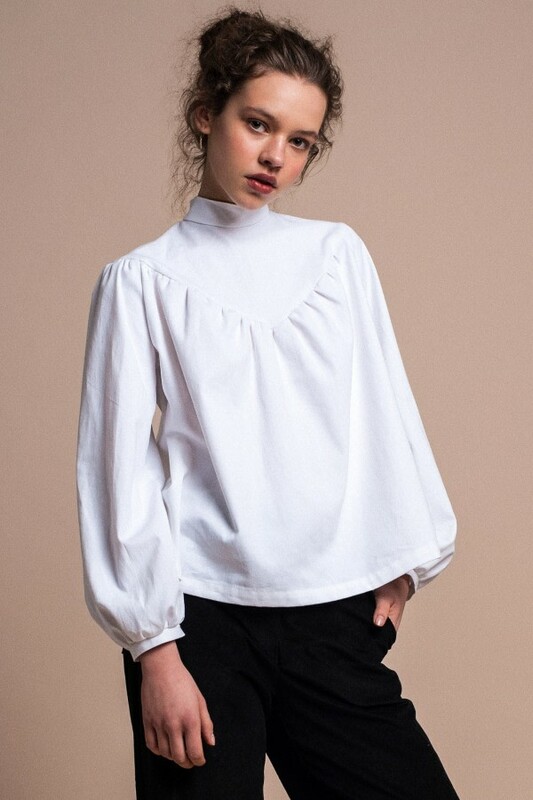 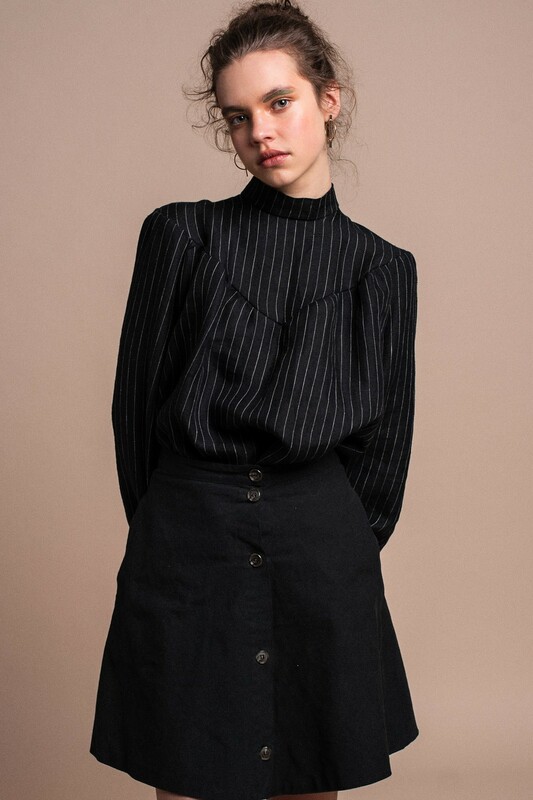 This Black Organic Linen Blouse from Danish brand Tales of Anyday is where a classic fabric meets a rather flirty design and shape. 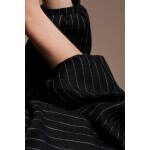 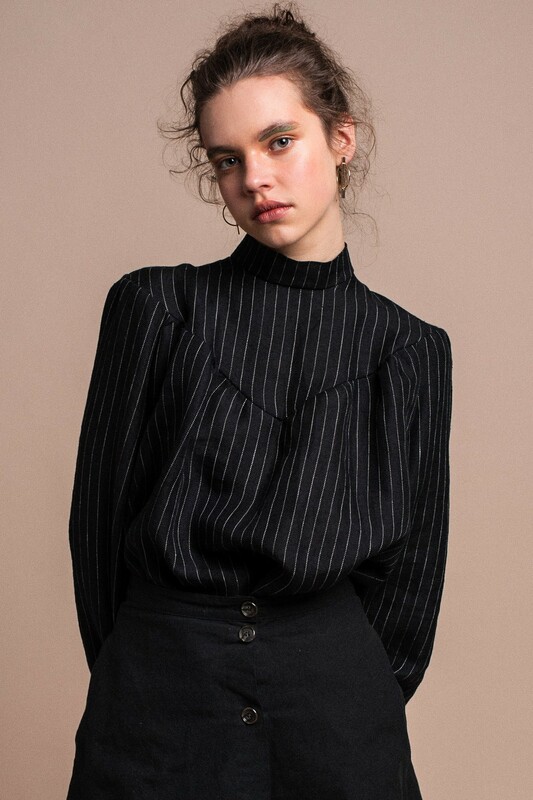 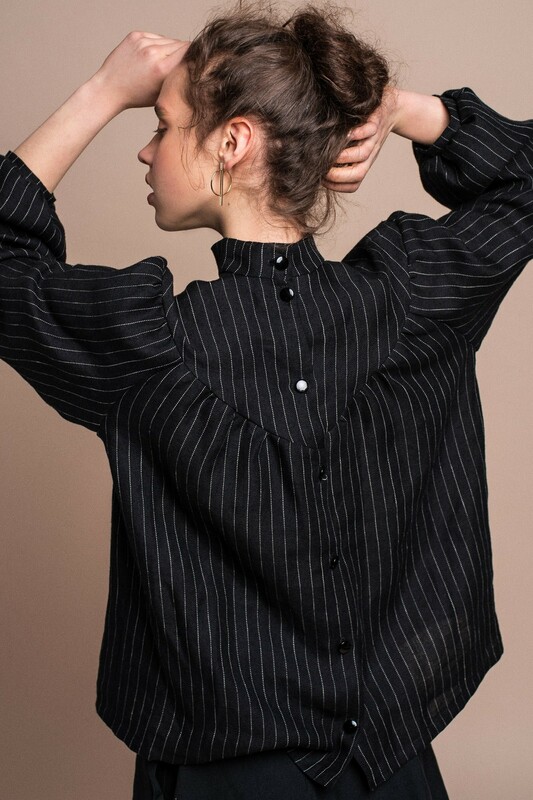 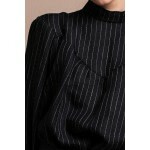 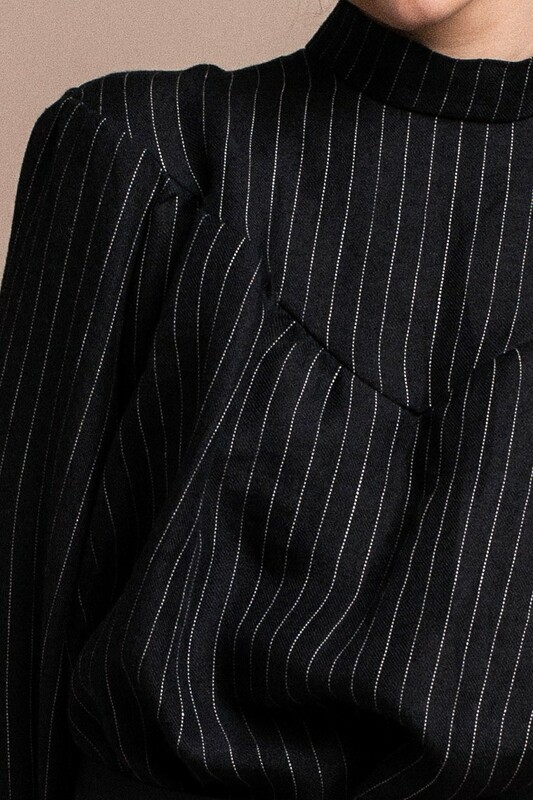 Handmade in the designer's studio in Copenhagen, this black pinstripe blouse in 100% organic linen features buttons on the back and long sleeves, perfect for feeling chic all day long no matter if it's a day at work or the cocktail hour. 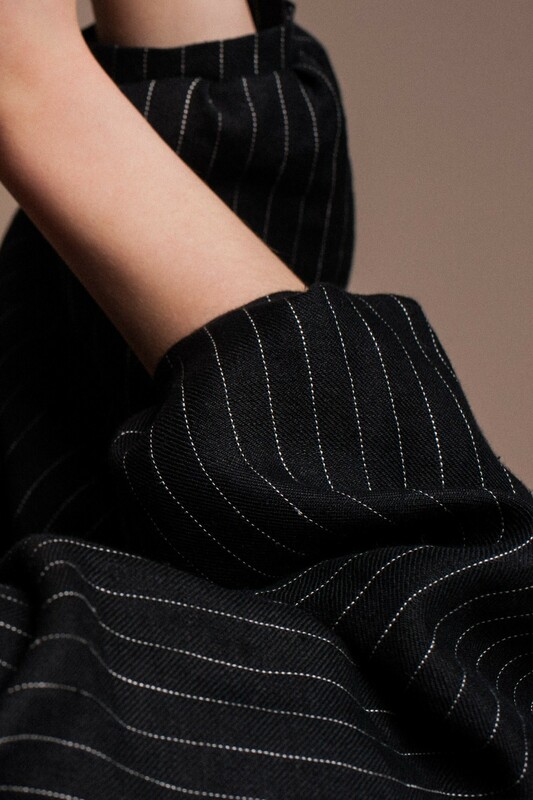 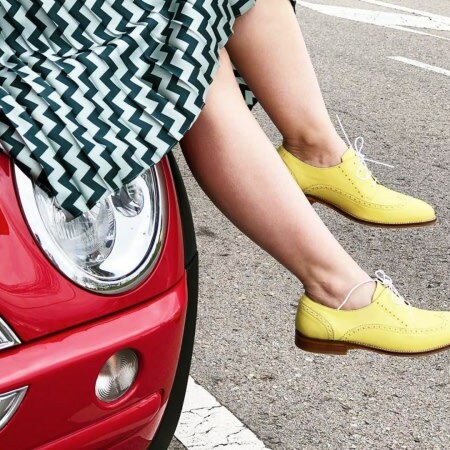 The natural temperature adjusting quality of linen makes it great for both warmer and colder seasons.